When it came to booking accommodation in Iceland I knew the only thing I would be able to afford was a hostel. Having had some bad experiences in hostels, in recent travels I did a lot of research when it came to choosing the place I would lay my head. 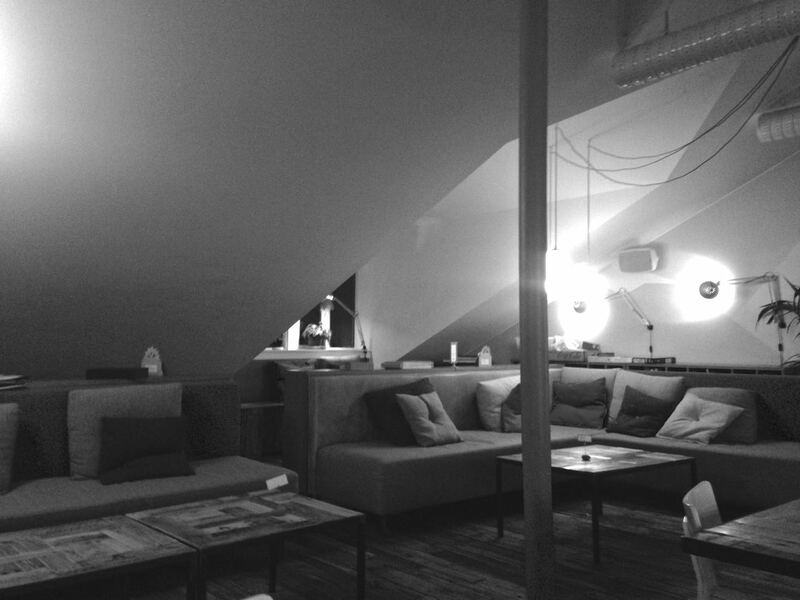 It came down to two choices the Kex Hostel or Loft hostel, I chose the latter purely because it was slightly cheaper. We arrived in to Reykjavik on the Flybus and were dropped a block away from the hostel, from there it was pretty easy to find. The reception is on the top floor, stupidly we didn’t realise this and trekked up stairs with all our luggage… I would recommend taking the lift in this case. We were greeted by a friendly guy who checked us in swiftly, answered all my questions before directing us to our room. The reception was located on the edge of the bar and lounge area, on first impressions it felt very modern and cosy. When we arrived in Reykjavik we were on a tight time schedule, after a very delayed flight and even longer bus journey from the airport we had just 45 minutes before we were off to find the northern lights. We barely looked at our room before dumping our bags and heading out for food before our pick up. It was much much later that evening when we returned and I really took in our room and the hostel properly. We had booked a double room with an ensuite bathroom for our stay partly because it’s a nice thing to do when travelling as a couple but also because it was on offer when we booked nearly six months in advance. Stepping into the room after we were done exploring for the day I fully took in our surroundings. The room was the size of a budget hotel and the interior was what I imagine every Scandinavian building to look like (because of Ikea). It was light in colour with the outline of mountains on the wall in red and blue. There was more furniture than you’d expect to find in a hostel with a book shelf and chair accompanying the bed. We were provided with bed linen – although two single duvets for the double bed – and towels which again is a nice luxury for a hostel stay. 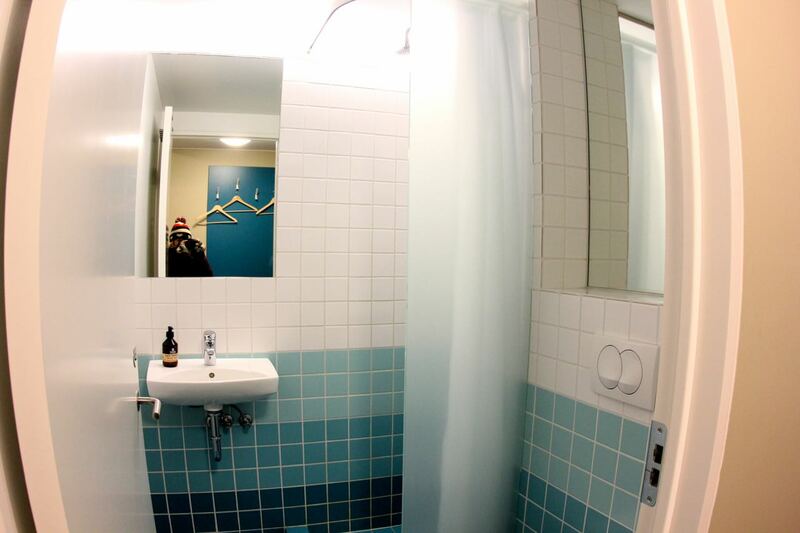 The bathroom was small but perfect for what we needed, it was clean and tastefully decorated again reminding me of a hotel standard rather than a hostel. The only annoyance was the light was automatic and stayed on for a while after you left the bathroom, which wasn’t great during the night. The hostel was friendly with great staff however it felt rather quiet at the time of visiting, we met barely anyone else while we were there – that wasn’t a great deal of time though. The quiet hostel was a huge contrast to the noise outside our street facing room. The Icelandic people like to party and drink and this Friday night seemed to be no different, at one point I woke up around 4am and could still hear a solid amount of people partying outside. This certainly proved how perfect the location was for partying it however did not help us sleep when we needed to be up early. We had opted in for breakfast when booking because we were unsure of what would be close by and knew we had an early start. During breakfast we didn’t encounter anyone else and the whole hostel felt very quiet. The breakfast was enjoyable, although your typical hostel breakfast selection, which I found a little small and slightly strange. I couldn’t comment if it was worth the extra as I don’t know what other options were available nearby, but it certainly made life easy for our whirlwind trip. Breakfast was served in the lounge/bar area which looked even more inviting and cosy on the second viewing. You can also find a communal kitchen in this area, I never did check it out but my opinion of the hostel would leave me to think it would be a good one. 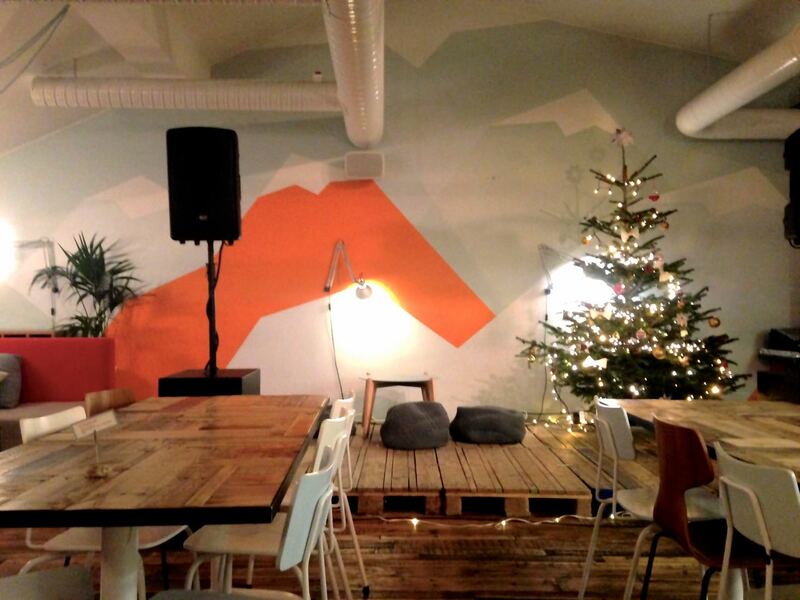 Overall the Loft Hostel in Iceland is one of the best hostels I have stayed in for facilities and cleanliness. I certainly felt like I was staying at a budget hotel rather than a hostel and I couldn’t believe the size of our room. The communal areas would made this the perfect hostel to send some time chilling out in and it’s equipped with a kitchen to help slim those costs of an Icelandic trip. If you don’t need to rush out in the morning I probably wouldn’t bother with breakfast otherwise you cannot go wrong with a stay at this modern and cosy hostel. You can find out more and book your stay directly from the Loft Hostel website. We paid €102.90 for our double room and breakfast during December. I stayed here with my sister for two evenings and we were not baffled. Staff were unbelievably useful and garrulous, and provided for every one of us the data we required and additionally booking visits for us. Breakfast was beautiful, cool meats, breads and yogurts. I would most likely stay here again. That’s a stunning time! Looks like a good find! 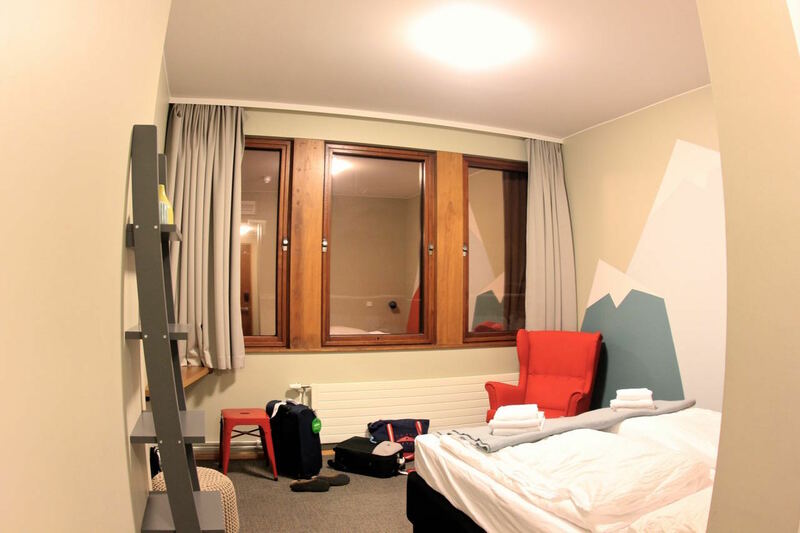 We often found when we were travelling that a double room in a hostel was just as good as anything you could find in a budget hotel and, as well as the cheaper prices, the staff are usually friendlier too!